Having grown up in Minnesota with a family that included several career bankers, Paul wanted to pursue a vocation that was related to the banking industry. 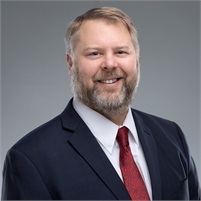 After graduating from Minnesota State University - Mankato with a degree in accounting and economics Paul spent three years as an auditor and analyst at a casino. However, in 1994 Paul decided to move to Atlanta and began a career with Benmark designing executive benefit plans for financial institutions. While at Benmark, Paul was involved in almost every aspect of the business. His primary responsibility was to design executive benefit plans and work with the sales force, however, he was also very involved in the administration, accounting, and compliance of executive benefit plans. During Paul's first 5 years with Benmark their business nearly increased by 500%. Having such an explosion in business offered Paul much experience and insight on plan design, teaching him what was valuable to a financial institution and what was not. In 2001 as Benmark began to work with Credit Unions, Paul was very instrumental in the design and sales of these plans. He worked tirelessly to create plans that addressed the unique issues that arise in a credit union's plan. He worked with both banks and credit unions until 2008 when he started working with The Sheeter Group. Paul worked with Andy Sheeter during their years at Benmark and forged a relationship based on the unique skills that each other had. Paul recognized the value and care that Andy brought to his clients and knew that no one else in the industry could do a better job. Paul currently resides in Faribault, Minnesota. He also sits on the Parent Advisory Board for the Minnesota School for the Deaf and works with several charities in the area.